Kungsleden has signed a 235 sqm lease agreement with technology consultancy Structor Södertälje AB at the property Enen 10 in Södertälje. Structor Södertälje AB is a brand-new technology consulting company that belongs to Structorgruppen, one of Sweden's largest consultancy companies in the construction and real estate industry. At the Enen property, they will rent 235 sqm on level 3 from September 1, 2018. "We were looking for centrally located modern premises in Södertälje. Kungsleden could offer us a very nice and well-adapted office space for our business. 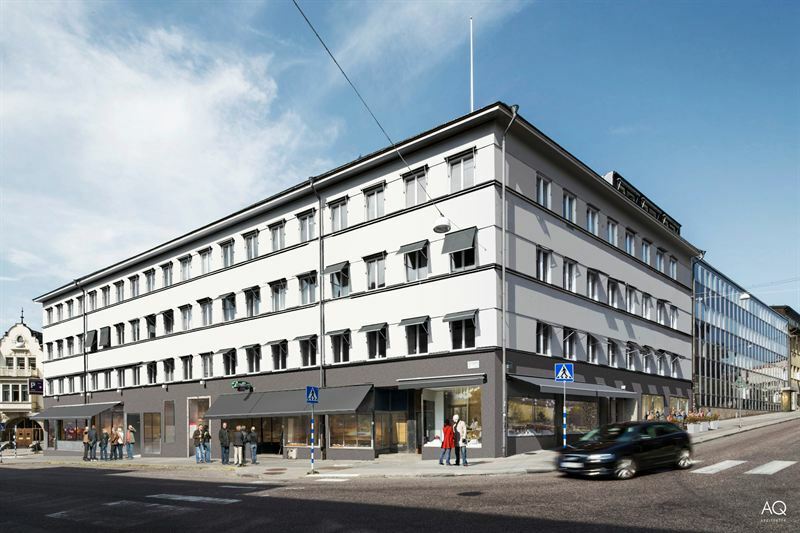 The premises are recently renovated overlooking the central parts of Södertälje with a great location close to public transport, which is important both from a customer- and an environmental perspective," says Maria Kavcic at Structor Södertälje AB. “We welcome Structor to Enen och Kungsleden, and hope they enjoy their new premises,” says Frida Stannow Lind, Head of Property Development at Kungsleden.